(MOKENA, IL. – January 18, 2019) — Creative Colors International, the nation’s leading on-site repair and restoration franchise, recently earned the #224 ranking in Entrepreneur magazine’s Franchise 500®, the world’s first, best and most comprehensive franchise ranking. Recognized as an invaluable resource for potential franchisees, the Franchise 500 ranked Creative Colors International as #224 for its outstanding performance in areas including unit growth, financial strength and stability, and brand power. 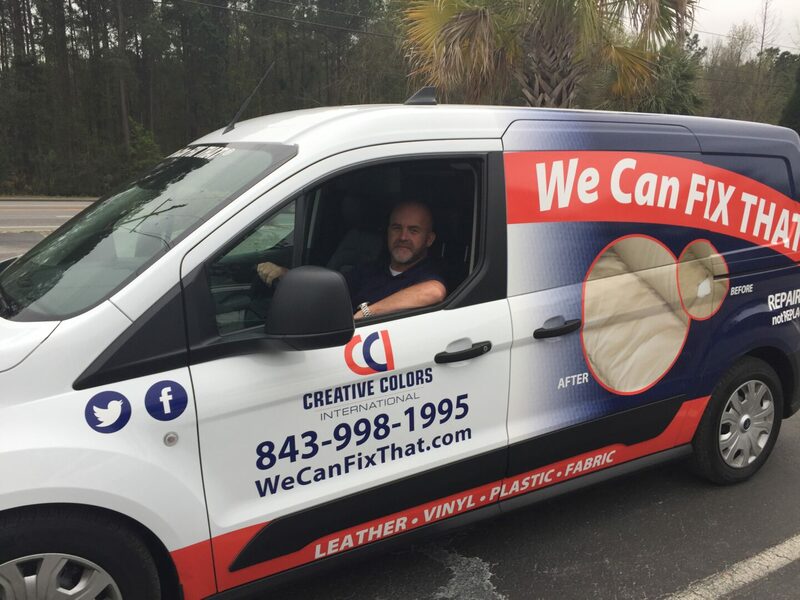 Creative Colors International is a unique mobile repair and restoration franchise business specializing in the repair, reconditioning, protection, and color restoration of leather, vinyl, fabric, plastic, and carpeting in the automotive, furniture, commercial, and residential markets. The key factors that go into the evaluation of the Franchise 500 include costs and fees, size and growth, support, brand strength, and financial strength and stability. Each franchise is given a cumulative score based on an analysis of more than 150 data points, and the 500 franchises with the highest cumulative scores become the Franchise 500 in ranking order. Over its 40 years in existence, the Franchise 500 has become both a dominant competitive measure for franchisors and a primary research tool for potential franchisees. Creative Colors International’s position on the ranking is a testament to its strength as a franchise company. To view Creative Colors International in the full ranking, visit www.entrepreneur.com/franchise500. Results can also be seen in the January/February 2019 issue of Entrepreneur, now available on newsstands. For more information about Creative Colors International and our services, please visit www.wecanfixthat.com. For more information about the Creative Colors International franchise opportunity, please visit www.creativecolorsintl.com. 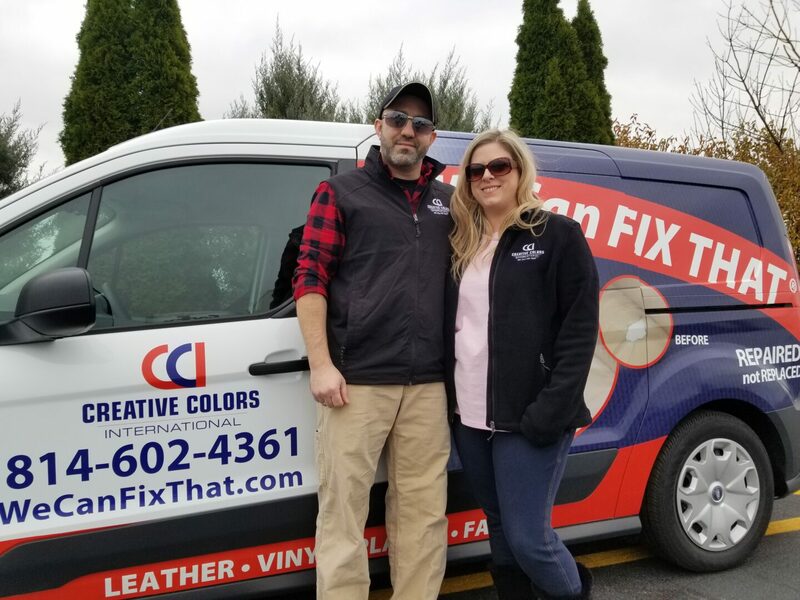 ERIE, Pa. – (January, 8th, 2019) – Creative Colors International, the nation’s leading on-site repair and restoration franchise, launched its newest location on November 27, 2018, in the Erie, Pennsylvania area. This is big news, as more local business owners and cost-conscious residents than ever are seeking alternatives to astronomical upholstering charges and replacement fees associated with damaged possessions made of leather, vinyl, plastic and fabric. Erie residents Paul and Trisha Smith have a history of business ownership and investment in the northwestern Pennsylvania region. Before deciding on their partnership with Creative Colors International, Trisha spent the past 10 years as the owner of a childcare/preschool center. Paul has experience in multiple industries ranging from healthcare and insurance to banking and logistics. The couple is raising three children and they are the motivation behind this latest business decision. “We hope to build a business that will give them a better future,” says Paul. More and more families are turning to entrepreneurship to improve their quality of life. Increased income, more time with family, flexible hours and having a business to leave to their children are just some of the reasons people make the leap to self-employment. 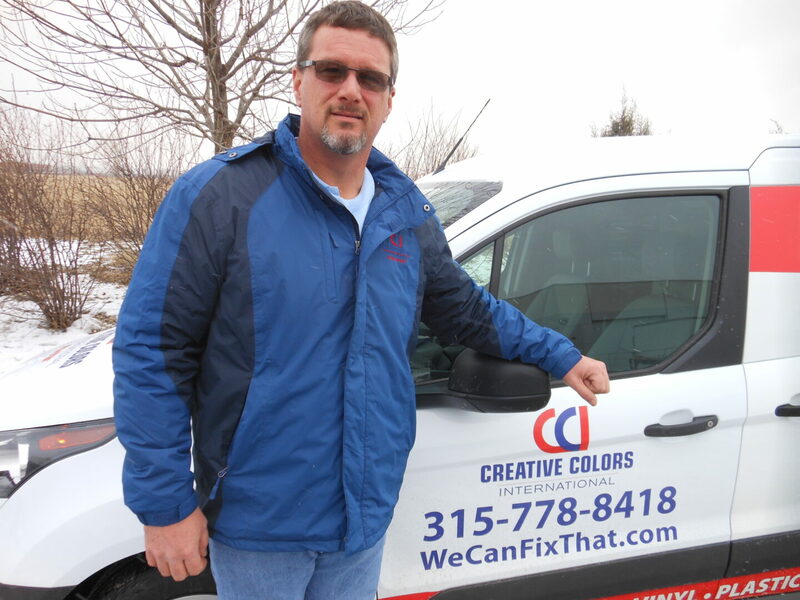 For more information on the Smiths and their Creative Colors International location, please visit http://www.WeCanFixThat.com/Erie. When it comes to success, Chris Shefts is proof that hard work and determination pay off! Shefts has worked in the Chicago area for the Waitekus franchise location for 21 years now, and he continues to exceed and succeed! He’s been the number one technician for Creative Colors International (CCI) in the U.S. and in Canada, motivated by love of his family and the philosophy of his father. My buddy. His parents owned the very first franchise. I was impressed with the money a 19-year-old kid was making, and I saw an opportunity to make that kind of money as well. Twenty-one years is a long time to stay with a company. What keeps you with CCI? It’s a tough job, but I found my niche in the system. I specialize in the auto industry. When they realized they could sell cars online they realized they could sell cars anywhere! The auto industry is a continuously growing entity. They face a lot of competition. The more they can sell and get off the lots, the more we can make. Why do you think you’re so successful at it? I think our (CCI) reputation helps us in a competition. I think that CCI is the best at what they do, by far. Other companies might lowball, but these dealerships know that it’s worth spending the extra cash to fix their cars right. What motivates you day-in and day-out? Do you ever consider owning your own CCI franchise? If it’s up to me, I’d own the entire thing! If you’re interested in working in a lucrative career as a Creative Colors International technician, we can get you started! Visit us at https://www.wecanfixthat.com/about-us/employment-opportunities/. Business ownership runs deep in Tim Bush’s family. Growing up in Upstate New York in the village of Lowville, Tim first went to work in the family’s retail oil business. He would travel the roads winding through the Black River Valley, repairing furnaces and delivering propane, diesel and coal to help keep families warm during the long Lewis County winter. But, by the time his family sold the business, Tim realized the idea of working for someone else was leaving him cold. “My parents sold the business in 1998 — 100 years after it was started by my great-grandfather. I stayed in the business, going through many ownership changes over the years,” Bush says. He ended his career as a Commercial Energy Salesman, traveling through northern New York over to western Vermont. “As the stress of working for a large company began to get to me, I watched my uncle go through the process of buying and running a franchise. I liked the fact that he had time to do what he wanted to do — and had a much less stressful life. He was successful. It was what made me decide to look into franchising.” Since then, Bush hasn’t looked back. He used his desire for self-employment to help him overcome his fears. 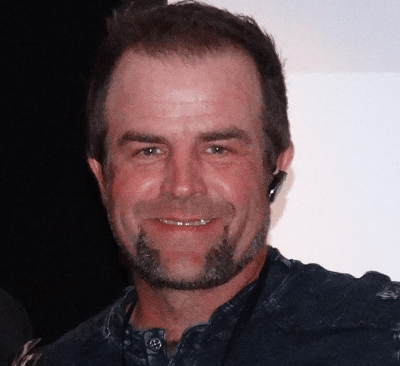 Tim had no prior experience in the repair and restoration industry, but that didn’t matter. CCI has partnered with franchisees from nearly every background and skill set. The three-week training program is designed to teach new franchisees everything from sales and marketing techniques and financial controls to upholstery coloring, restoration and repair methods. Tim’s life is a little different now that he is self-employed. Always family and community oriented, Tim now has time to enjoy those things without the stress he once felt. From serving as a member of the volunteer fire department to helping his community through various non-profits, Tim still has the time to enjoy being with his wife and three daughters and enjoy the great outdoors of northern New York. His partnership with Creative Colors International helps make it all possible. If you’re interested in joining the Creative Colors International family, visit our website to learn more information. It’s easier than you think. 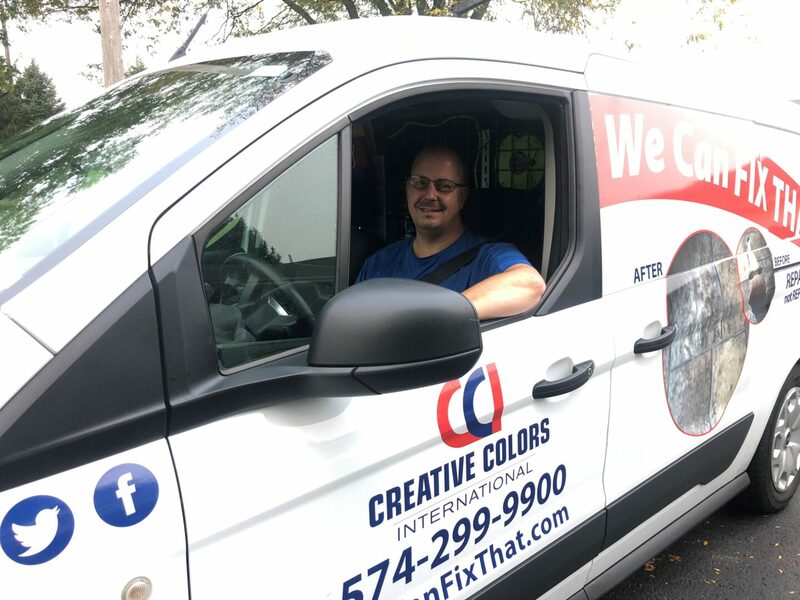 (MOKENA, Ill. – October 26, 2018) – Creative Colors International, the nation’s leading on-site repair and restoration franchise, was ranked as one of the top franchise systems by Franchise Times. Creative Colors International (CCI) earned a spot in the 2018 Franchise Times Top 200+ list, coming in at number 492. The Franchise Times Top 200+ is an annual ranking of the 500 largest franchise systems in the United States by global system-wide sales. The rankings are based on the previous year’s performance, along with five months of research and reporting, providing consumers with the most credible and objective franchise rankings available. Creative Colors International is a unique mobile repair and restoration franchise business specializing in the repair, reconditioning, protection and color restoration of leather, vinyl, fabric, plastic and carpeting in the automotive, furniture, commercial and residential markets. The company was also recently named a Top Franchise for Veterans as well as one of the Top Innovative Franchises by Franchise Business Review. The concept of making something new — or new again — is very familiar to John Rozsypal, “Rozy” to his friends. The old-school architect, based in Ann Arbor, Michigan, is accustomed to using the fine point of liner pens and drafting pencils to hand-sketch custom homes, additions and renovations. But after 45 years in the design business, Rozy and his wife Mary — a former marketing executive for multi-billion-dollar companies in corporate America — are building something new for themselves. 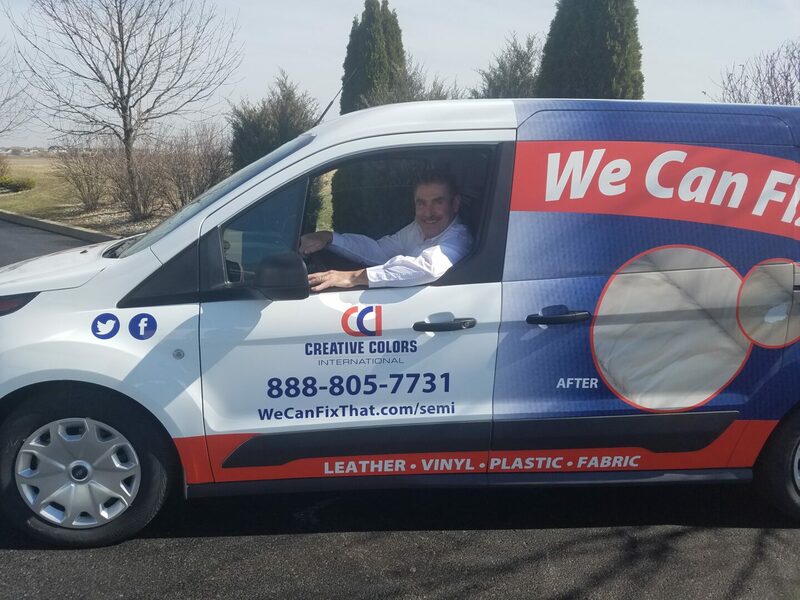 They are building what they hope will be a monopoly in southeast Michigan in the leather, vinyl, plastic and fabric goods repair industry, through their Creative Colors International franchise business. The nation’s leading on-site repair and restoration franchise is giving the Rozsypals a late-in-life career (she’s 59 and he’s 67) that hits all the right marks. No more cross-country and overseas travel. No more sitting in an office all day. No more working on someone else’s schedule. No more working for Wall Street. As a bonus, Creative Colors appealed to the couple’s creative side; and gave them an opportunity to work side by side, with their hands, in a business model with great potential. The Rozsypals started with one van, as Rozy hit the road to build a loyal customer base with his repair work. Now he gets booked for service a month in advance and gets calls from 3–4 hours away. That’s how good he is. Although Rozy enjoys getting out and building relationships and gaining the respect of his clients, he also has bigger plans — more growth as an enterprising executive-style owner. In the first year, the Rozsypals added a second service van and technician and have plans to add a third soon. They aspire to be executive-style owners who gradually build up their fleet of vans and technicians and even add new territories. “It’s exciting. We are moving toward the place we want to be in building the business. Within a few years, we hope to be at the level where we can step back and just manage the business,” said Mary. In the meantime, Rozy strategically schedules his days and is working on developing programs with customers for routine service calls so that he has the flexibility to schedule some long golf weekends. Just another perk of being your own boss in the Creative Colors International franchise family. If you would like to learn more about franchise opportunities available in new and expanding markets, visit us today to learn how you can build a thriving business at CCI.